It is our special issue comes from Cheetlang Village. 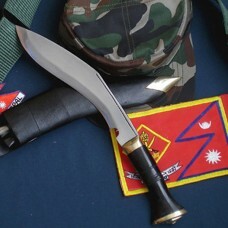 The shape of the knife is made similar to that of Chainpure, however with a better touch. 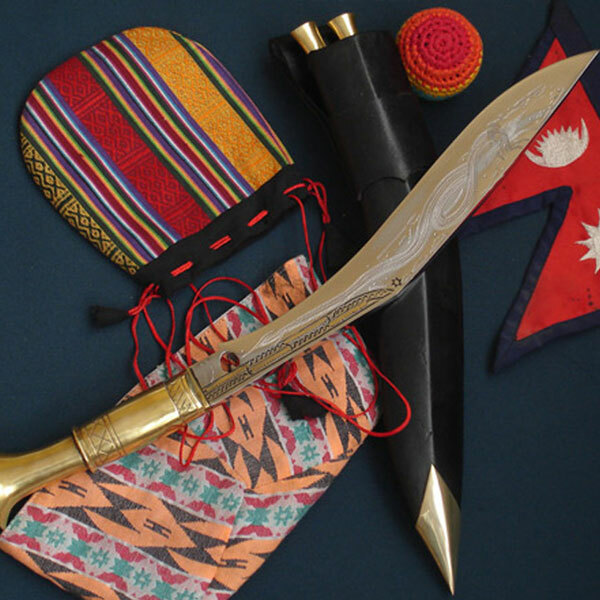 The forging of the blade from the tip all the way down to the notch makes the khukuri very special as this is the hardest part of crafting for the skilled craftsman costing more effort and time. 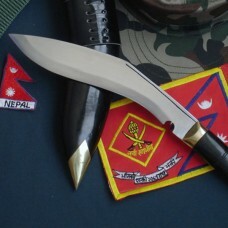 It is similar to Sirupate Khukuri with narrower blade. 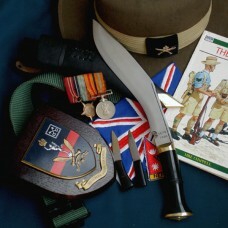 The grip base in extra-wide allows for a supper tight held during use. 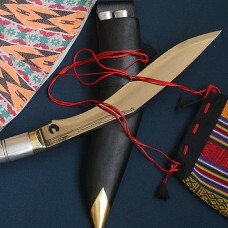 The blade is made of highly graded carbon steel. The blade is great for general cutting and light to moderate chopping. The length of blade is 13" with 5" long handle which is made of Brass or buffalo horn. 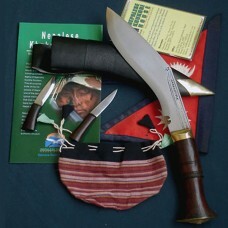 The sheath is unique than other, which is made of leather covered wood. 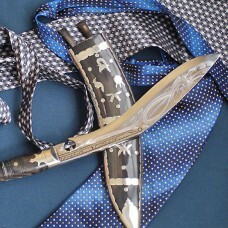 The blade is beautifully engraved with both side dragons. It weighs about 900 grams. The total shipping weight including display wooden stand with packing will 2 kg.